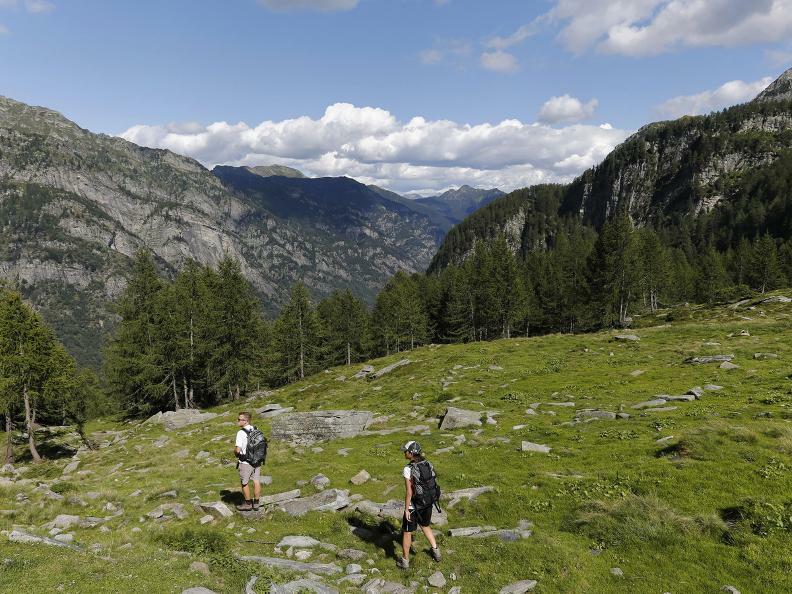 Explore Valle Onsernone, the renowned, secluded wilderness. 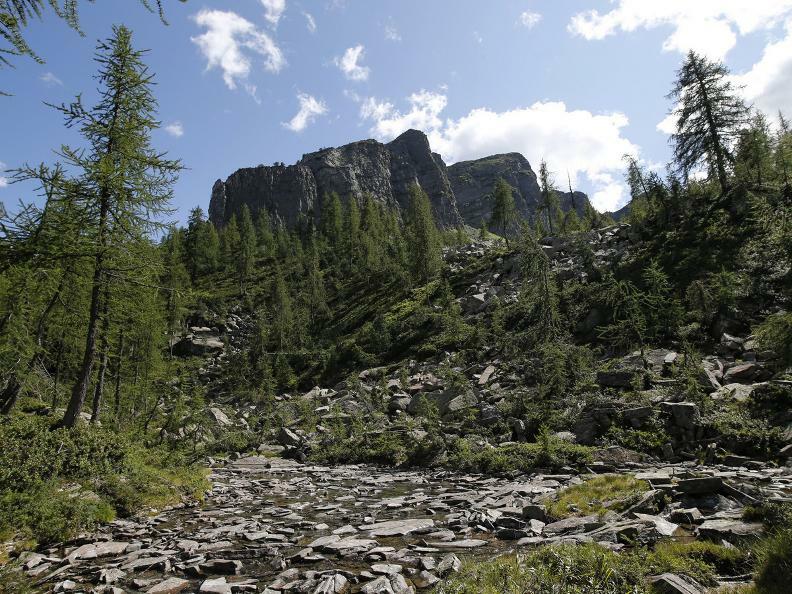 Features which have indeed, attracted famous artists and writers to the area. Your first trip will almost certainly not be your last! 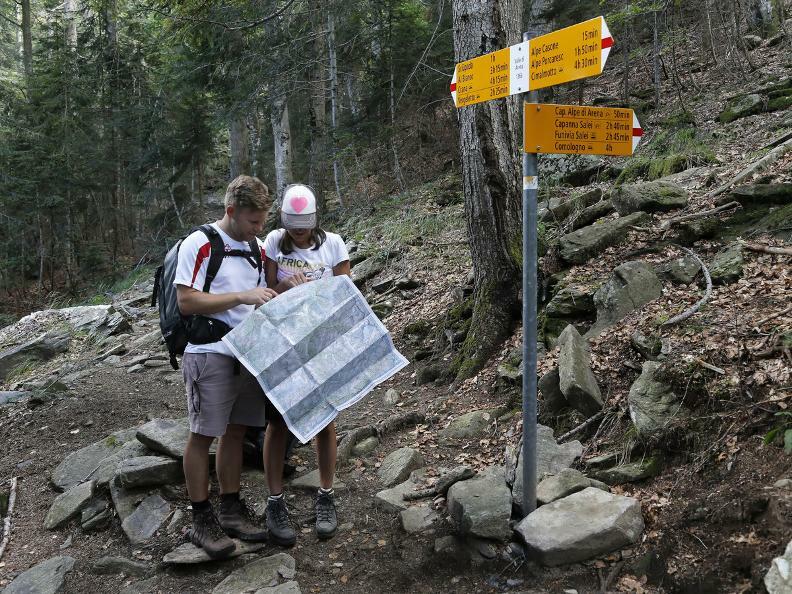 There are a large number of itineraries which allow you to appreciate it properly. 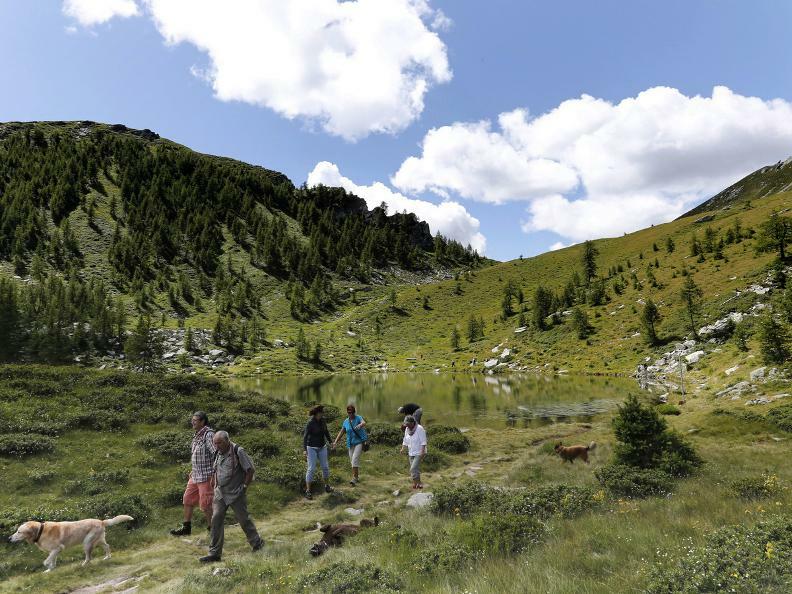 Discover the Salei area, its pretty alpine lake and the idyllic landscape surrounding it. Such charming beauty, bound to amaze you. 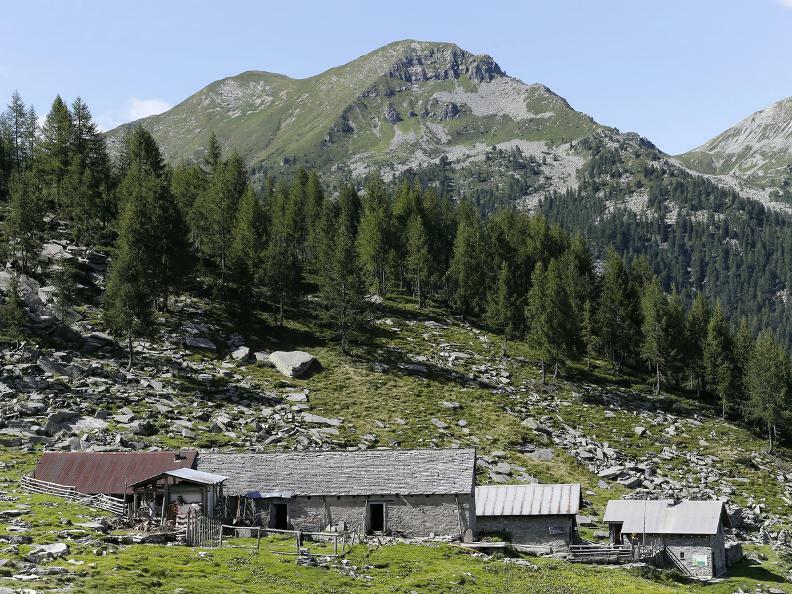 Follow the path as described above until the Arena mountain hut and follow the route to Porcareccio. 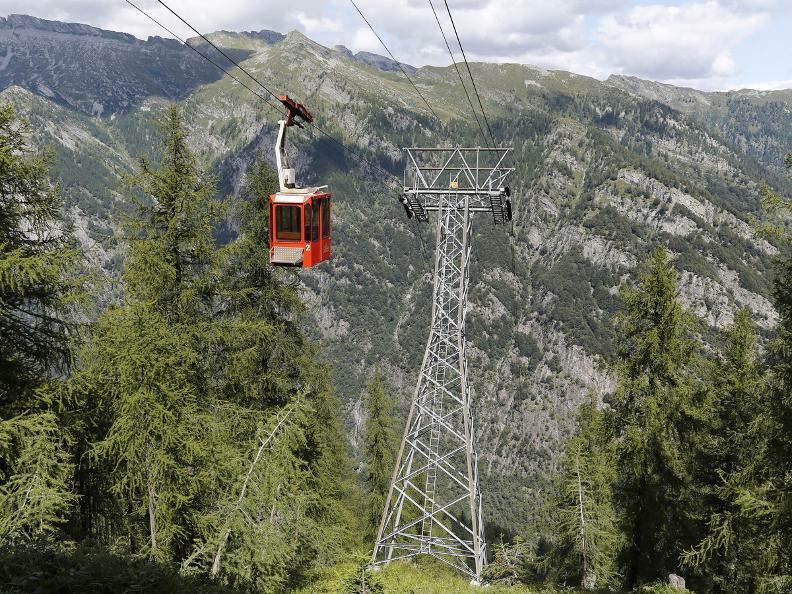 You then come back to the cableway in the opposite direction. 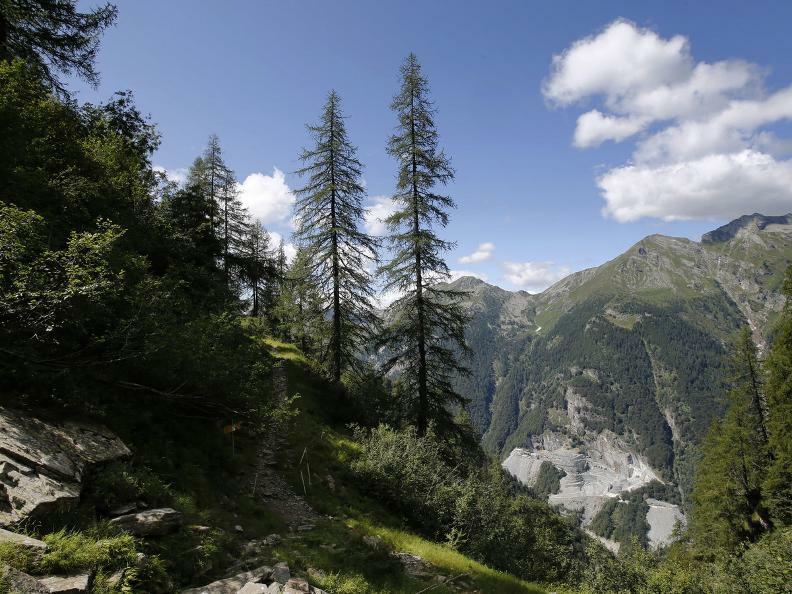 After descending to the valley floor, by cableway, carry on until Vergeletto village, one of the most traditional locations in the Onsernone valley. 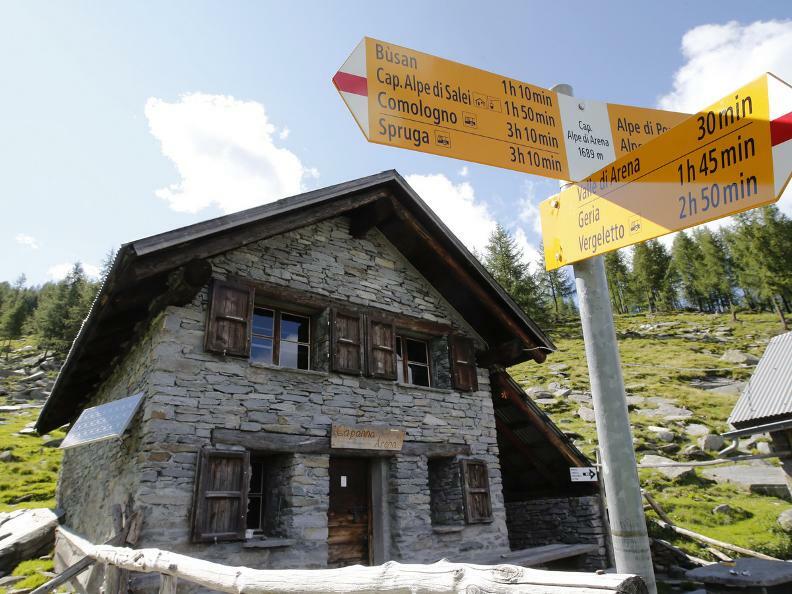 Comologno – Lake Salei – Alpe Salei – Arena mountain hut – Alpe Salei – Comologno. 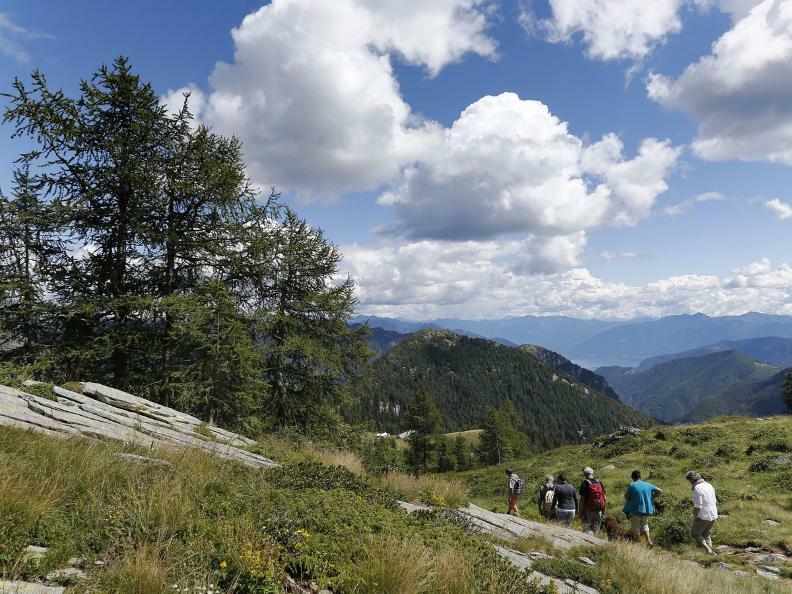 From Comologno you follow the well-signed path towards Ligünc and Piani della Galera. 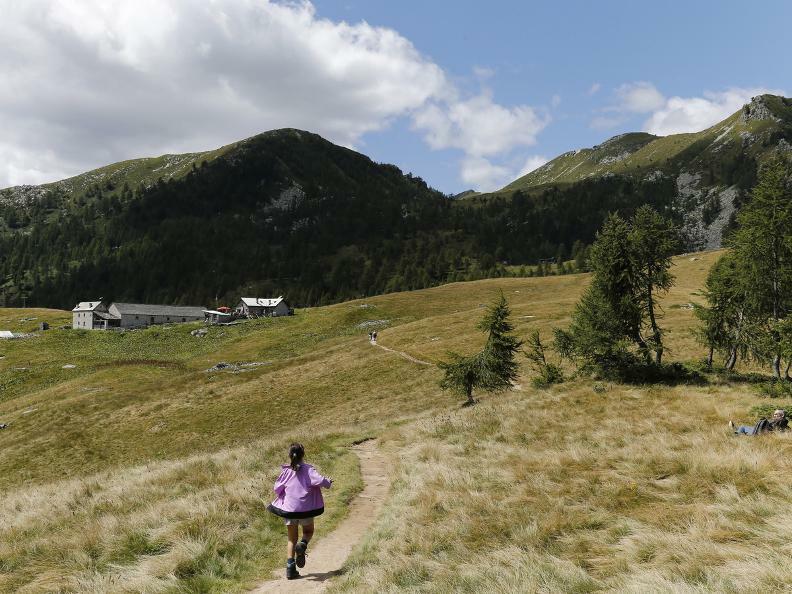 You reach Lake Salei and then descend toward the Salei mountain hut. 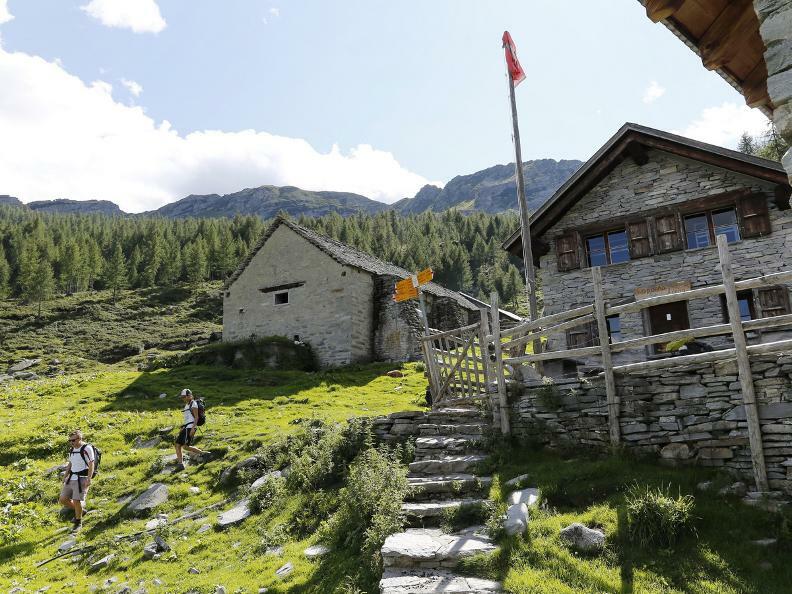 Here you take the well-maitained path on the wooded side of the Poncione del Rosso mountain to arrive at the Arena mountain hut. 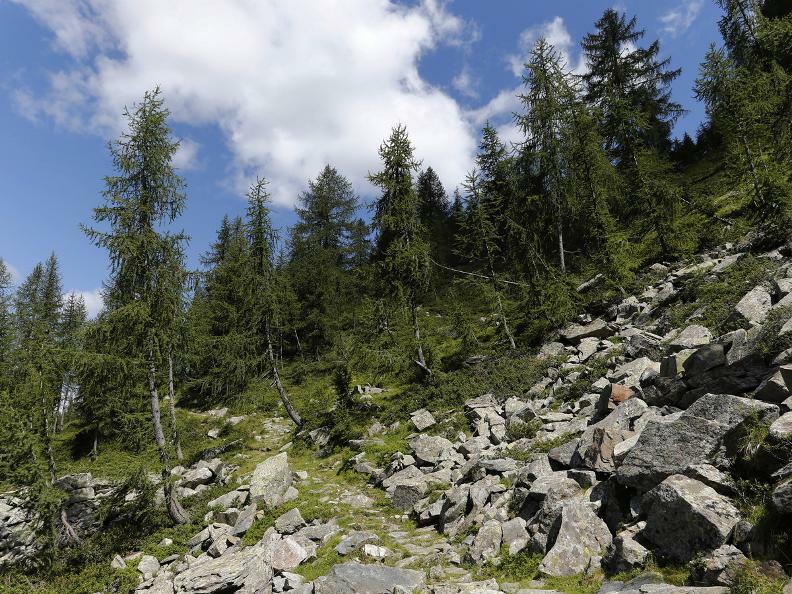 You then go back toward Comologno covering the path in the opposite direction and crossing Alpe Salei once again. 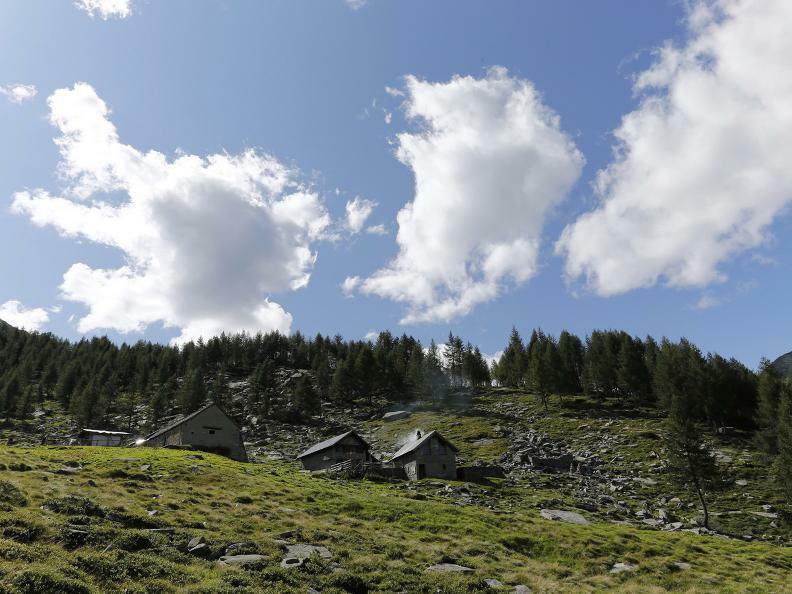 A long trek, which may also be covered in two days if you stay in one of the two alpine huts (Salei or Arena). 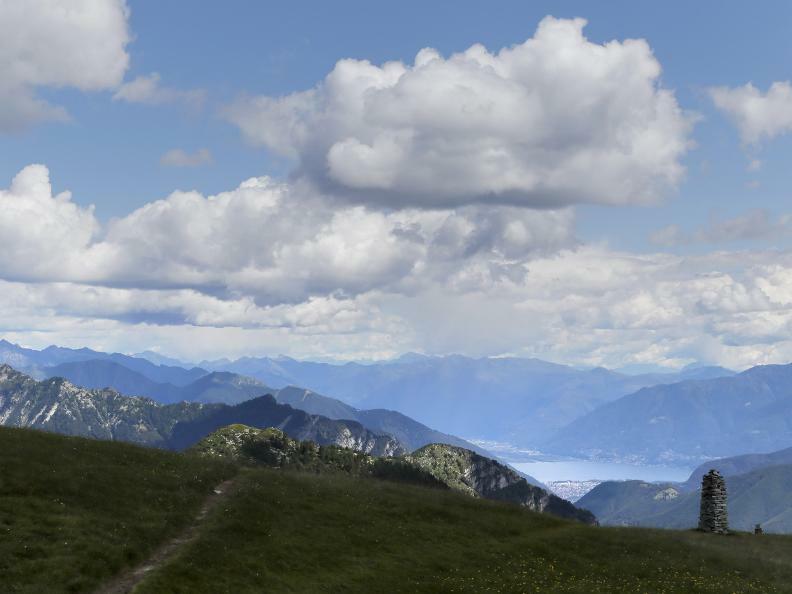 From Comologno you follow the well signed path up toward Ligünc and Piani della Galera. 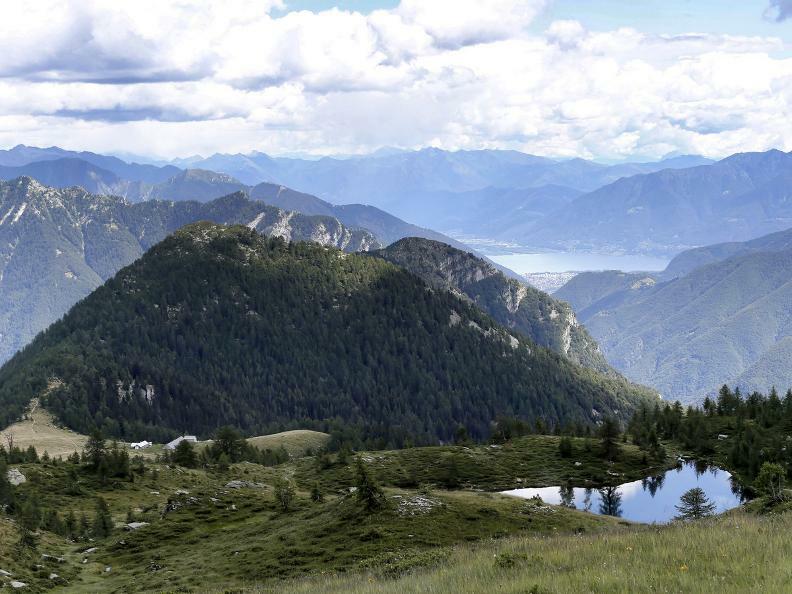 Once you can see Salei lake, you go down toward the Salei mountain hut. 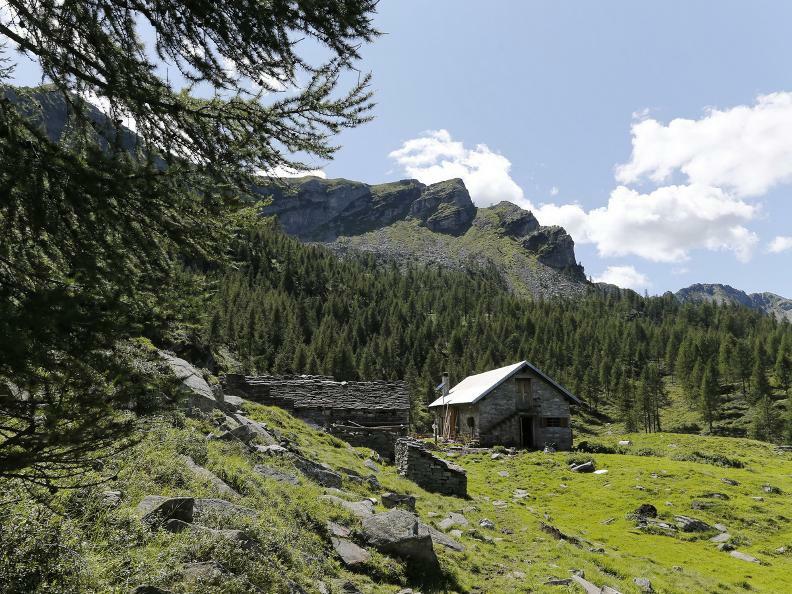 This is linked to the Arena mountain hut by a wide path that is paved with large stones, and which traverses the wooded side of Poncione del Rosso mountain. 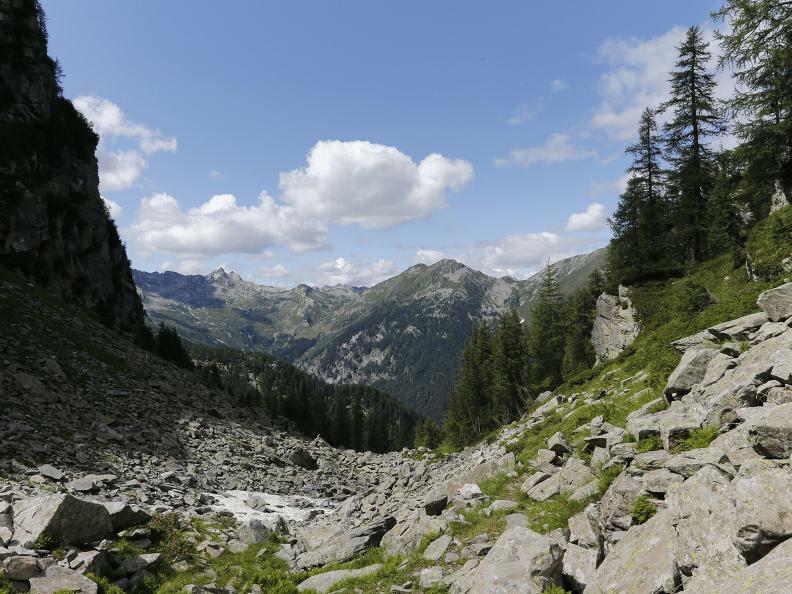 At this stage, it’s worth carrying on for a few hundred metres toward the Porcaresc alpage in order to admire the Buco d'Arena canyon: the path has been beautifully laid down in a wild area that’s otherwise very difficult to access. 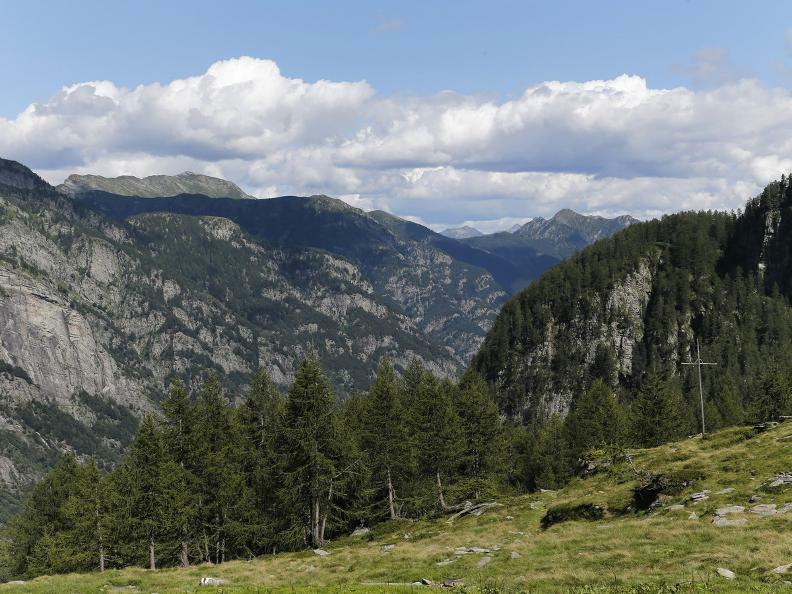 From the mountain hut, the well signed path starts descending until the forest road is reached, linking the Casone alpage with Vergeletto, passing through Zardin. 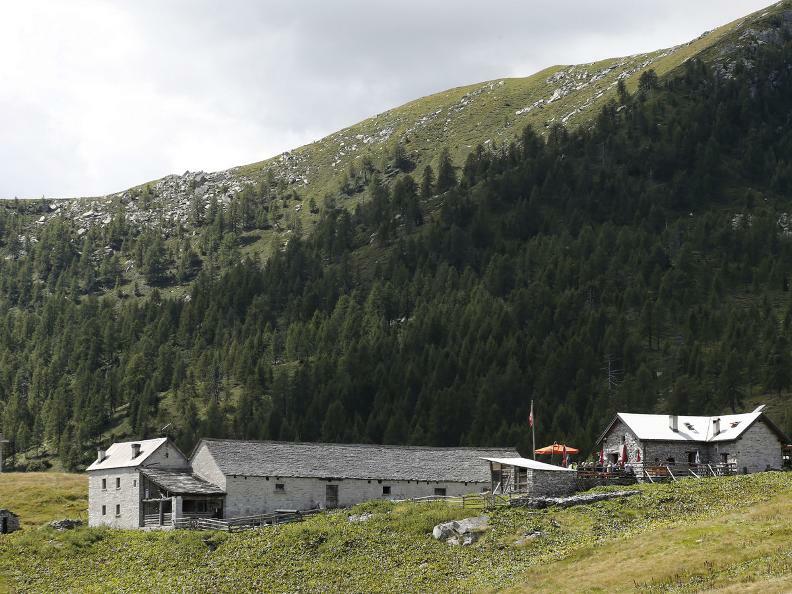 Following the road, along which there are two refreshment points, you reach the village in around an hour. The village is connected by PostBus.